Angelo Dominic "Archi" Cianfrocco was born on October 6, 1966 in Rome, New York. Rome has a large Italian-American population, especially in the Little Italy section of East Dominick Street. Located in Oneida County, it is home to the oldest Cooper manufacturing company in the United States. Archi's father was a union worker there for nearly 40 years manning a hot furnace, burning cooper to brass at the company founded by Paul Revere. 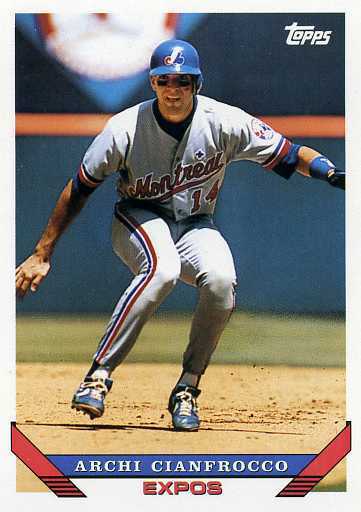 Archi attended Perdue University getting drafted by the Montreal Expos in the 5th round of the 1987 draft. 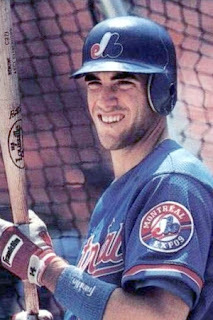 He hit .300 at AA & AAA getting to the Expo big league club in 1992. He would spend time back & forth in the minors over the next three seasons. He hit well there, batting over .298 over those three seasons. In June 1993 he got traded to the San Diego Padres where he had his best year in 1993. Overall he only hit .243 but had a career high 11 HRs with 10 doubles & 47 RBIs playing in 84 games. He played at both third base backing up Gary Sheffield & at first base behind Fred McGriff. 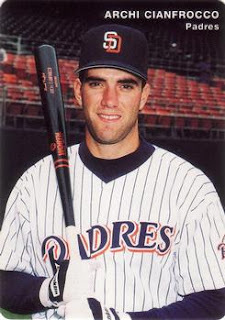 Cianfrocco played a total of six seasons with the Padres as a reserve player. In San Diego he was a very popular player & had multiple fan clubs, including "Archi's Army" and the "CianfrocCrew". He still has a fan club supporting him on Facebook. Once on ESPN baseball highlights, Chris Berman referred to him as “Raider of the Lost” Archi Cianfrocco. During the 1995 baseball strike he was asked to join the replacement players, but because of the strong union ties in his family he declined. His best career game came in 1995 against the Atlanta Braves where he hit a grand slam HR & drove in six runs. In 1996 he hit a career high .281 with 13 doubles playing in 79 games as the Padres won the Western Division. That year he made his only post season appearance going 1-3 as a pinch hitter in the 1996 NLDS. In 1997 Archi was the HR champion at the Hall of Fame Game HR Derby at Doubleday Field in Cooperstown. In another not so famous moment, when Cincinnati Reds pitcher Tom Browning broke his arm while pitching, Archi was at bat. Cianfrocco was also a roommate of former Padre player Billy Bean, who walked away from the game battling his sexuality issues. Archi said he never knew about Bean's sexuality struggles & would have supported him no matter what. Archi spent the first four months of the Padres 1998 NL Pennant season on the club, getting sent down to the minors then brought back up for the September stretch. He did not play in the post season & was released at the end of the season. His MLB career was over at age 32 when no one signed him as a free agent. He played seven big league seasons, batting .241 with 308 hits 34 HRs 59 doubles 16 stolen bases a .292 on base % & 185 RBIs.